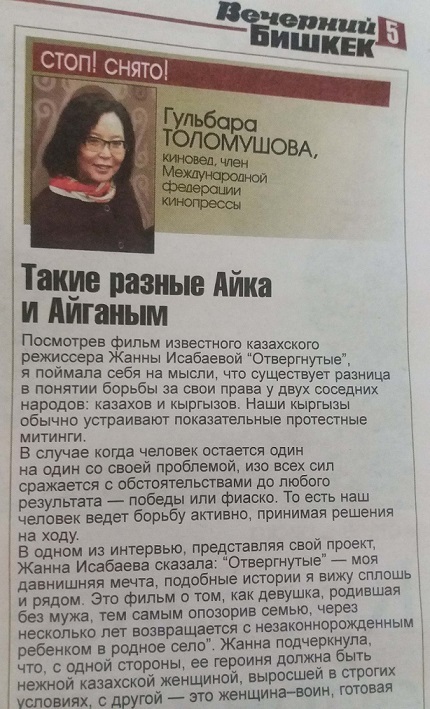 Home Reviews, opinions Today in VB: column "Ayka vs. Ayganym"
Today in VB: column "Ayka vs. Ayganym"
She needs money – urgently. And because Ayka is a woman, she works hard for it. And even harder because she is a Kyrgyz migrant with an expired work permit. 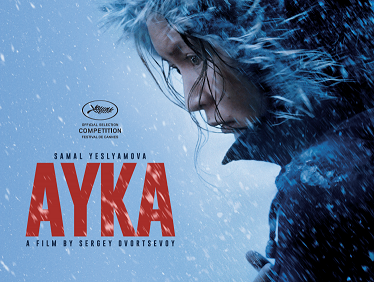 Moreover, she has just become a mother, so the normal madness in Moscow's winter becomes a life-threatening trip. Physical performances, a gentle camera, an uncanny film. Outcast sister, brutal brother. Both will perish. For the landscape is rough and idyllic, and life in it is full of violence. Post-Soviet Kazakhstan is dominated by debts, corruption and a patriarchal way of thinking which – now seen in Zhanna Issabayeva's feminist cinema for the first time from the man's perspective – brings only one thing: misfortune.